We have just completed an extended six month trial of Chloe’s Football Focus, a football tipping service from the Betting Gods tipster platform. We decided to run an extended trial because we were particularly interested in the potential of this tipster, who came into the trial averaging an amazing £1300 per month profit to just £10 stakes, one of the best returns we had ever seen from a football tipster. So we wanted to give the service a thorough test and to see how it performed over an extended period. Overall whilst the results haven’t lived up to the pre-trial billing, the service has still performed well and Chloe has finished with a profit of 32 points. That equates to a return on investment during our trial of 5%, which in football betting is pretty reasonable. The strike rate was solid at 28%, which isn’t as high as some other football services but reflects the fact that the bets are value selections at odds averaging around 7/2 (or 4.5 in decimal odds). As you can see from the graph below, it was quite an up-and-down trial, but with a nice push towards the end got itself above water. Taking the results as a whole we feel this is worthy of a narrow PASSED rating. Whilst 21% bank growth over six months isn’t particularly exciting, a profit is still a profit and we think the returns were just about high enough for this to make the grade. It’s a service we will continue to keep an eye on to see whether it can maintain its profitability or even get back to the kinds of results seen prior to our trial. Ease of use: The workload isn’t too bad, with just 1-2 bets per day on average – although as with most football services, most of the bets coming over the weekends. Tips tend to be sent out in the morning, giving plenty of time to get the bets on. Availability of prices: With a good deal of the bets coming in the main European leagues, there isn’t too much of a problem with liquidity or prices being reduced. There were even some instances where you could beat the advised prices by using Betfair, but on balance we found the advised prices were what we ended up achieving. Strike rate: The strike rate for the trial was 28%, reflecting the service’s targeting of value selections. 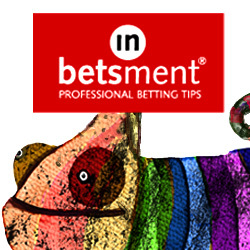 Advised Betting Bank: A 150 point bank is recommended for following the service, which seems reasonable to us. At the worst point we were 38 points down which is around a quarter of the bank. For safety you could use a 200 point bank (or bigger) of course. Subscription costs: The subscription costs are very reasonable at £1 for the first 10 days then £25 per month, £50 per quarter or £150 per year. Chloe’s Football Focus didn’t reach the dizzying heights of her pre-trial results, but still did pretty well and finished our extended six month trial with a profit of 32 points. That came at a return on investment of 5%, which is respectable in football betting and we feel warrants a narrow PASSED rating. We will continue to monitor results here as we consider the service has a lot of potential, so let’s see how it gets on over the coming months. Things have picked up for Chloe’s Football Focus lately, with 25 points profit made since our last update. That means we are now 23 points up for the trial overall. The recent turnaround has been in large part to the last four bets which have all been winners, mainly focusing on South American football whilst the European leagues have been on a break. Let’s hope that good form can be maintained when European football returns shortly. It’s been a bit of an up-and-down ride for us with Chloe’s Football Focus. Things started off negatively, but then gradually turned around and moved nicely into profit. Well now unfortunately they have reversed again, with 39 points lost since our last update. That means we are pretty much back where we started after all that, at 2 points down. So no harm no foul as they like to say as we are just about even for the trial, but a shame that the positive momentum the service had didn’t continue. We have around a month to run in our six month trial, so will wrap things up in April, hopefully with a strong finish to the trial to report. Chloe’s Football Focus has continued to progress along nicely and has moved well into profit for our trial now. Since our last update Chloe has made 26 points profit, putting us on 37 points profit for the trial overall. We have decided to extend our trial from three months to six months as we think this could be a really top service but need some more time to see if that proves to be the case. Certainly the signs are promising but with a larger body of results over the course of six months we should be in a better position to judge the service. Chloe’s Football Focus has continued its improvement, adding another 17 points profit since our last update at the start of December. That means thankfully we are now in profit for the trial overall, sitting at 11 points up at the current time. With the Christmas break about to kick in there are likely to be fewer bets over the next few weeks, although there will still be the busy English football schedule over the festive season which should bring us a reasonable number of bets. Let’s hope the positive progress continues for Chloe’s Football Focus. Things have picked up for Chloe’s Football Focus lately, with 19 points profit made since our last update a couple of weeks ago. That means we are now almost back to even for the trial, just 6 points down overall. The results have been helped lately by a couple of big wins on Wednesday on the PSG and Celtic games, which netted close to 25 points on their own. Hopefully that is a sign of things to come and by the time of our next update we will have moved into profit for the trial. Not much change for Chloe’s Football Focus since our last update, with just one point lost over that time. That means we are 25 points down for the trial overall. It’s good to see the tips accompanied by “Chloe’s Notes,” which are her reasonings behind the selections. So far they haven’t been firing on all cylinders but it is still early days so plenty of time to turn things around. It’s been a tough start to our trial of Chloe’s Football Focus, a new football tipster from the Betting Gods stable. So far after two weeks we are 24 points down to advised prices. It is very early days so far too early to draw any conclusions, although no doubt some people will be disappointed with the start given the amazing results achieved prior to the launch of the service. As we say though, two weeks is nothing really and that is why our reviews are a minimum of three months, to give services a chance to prove themselves. Anyway, let’s hope things have picked up for Chloe by the time of our next update. Making money from betting on football is notoriously difficult so when the latest e-mail we received landed in our inbox we were rather taken aback to say the least. The e-mail concerned a service called Chloe’s Football Focus and the results look pretty mind-blowing. So far Chloe has made over £1,300 per month to just £10 stakes at a return on investment of over 90%! That is kind of unreal if you think about it for any tipster but for a footy tipster it is even more remarkable. Now admittedly they are over quite a short period – 4 months – but if they can be anything like that over the long run then we could be in for something special. The bets are quite wide ranging, coming in a variety of leagues and competitions and some covering match odds, whilst others are over/unders and the like. It feels like a good time to be starting a trial of a football tipster with a good couple of months of the football season underway and a good body of form behind us to go on. We are probably more excited about this trial than we have been about a football one for quite a while, but we don’t want to put the mockers on things so let’s just see how things go before raising our expectations too high. As ever with Betting Gods services, you can get a 30 day trial of the service for just £1 which is a good way of checking the tips out. We will update results here regularly during the trial and let’s hope we have positive news to report. In the meantime you check out Chloe’s Football Focus here. I have done two trials thinking I would give her a second chance after reading other peoples reviews, both have been abysmal, lots of the usual betting gods hype, no results, I have yet to find a winning tipster after fees on there. Thanks for your comments. Chloe has had a tough month in February but September, October, November, December and January were all profitable and she is still nearly 100 points up overall. It pays to take a long-term approach to betting, that is why our reviews are always a minimum of three months but often six months. That is the kind of timeframe needed to see how a tipster performs. Anyone can have a losing week or month but the best tipsters will make a profit over the long run. Taking a Look at the Masters Betting Market Liverpool v Roma Free Bets!